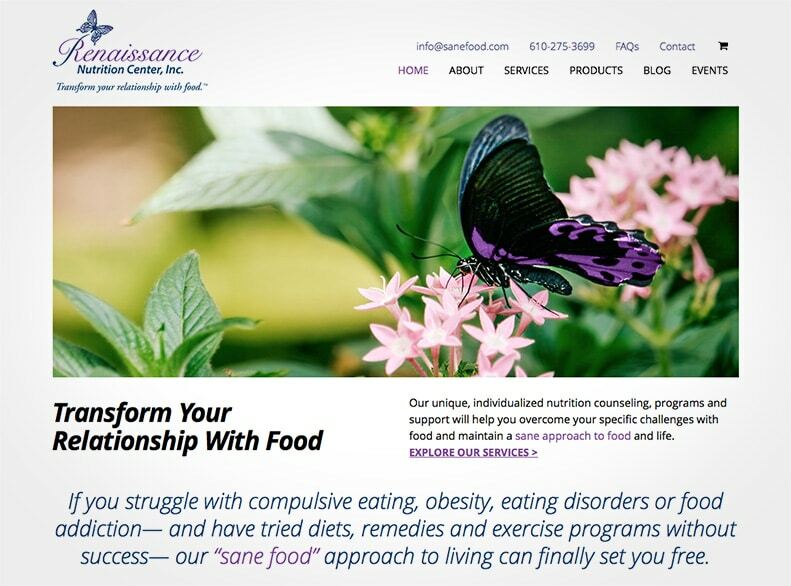 Theresa Wright, owner of Renaissance Nutrition Center in Pennsylvania, specializes in the treatment of food addiction and compulsive eating disorders. 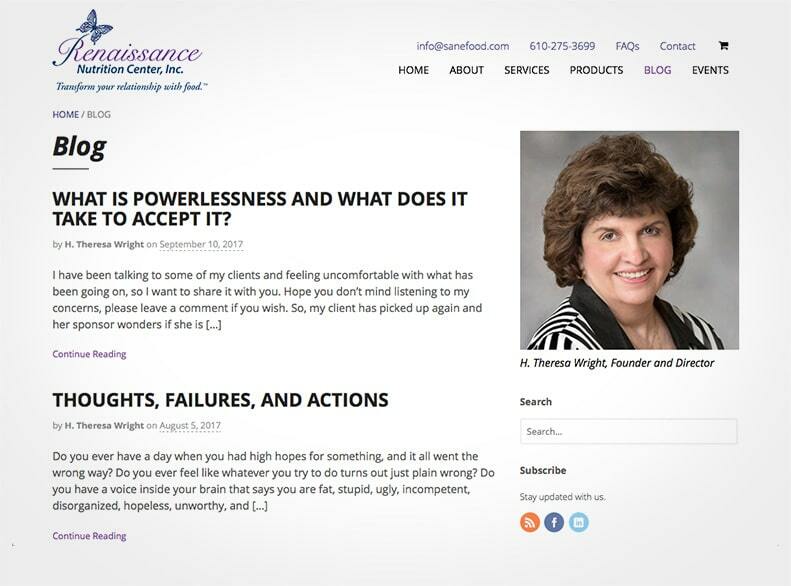 I partnered with Theresa to create a website revealing her as an expert in her field. 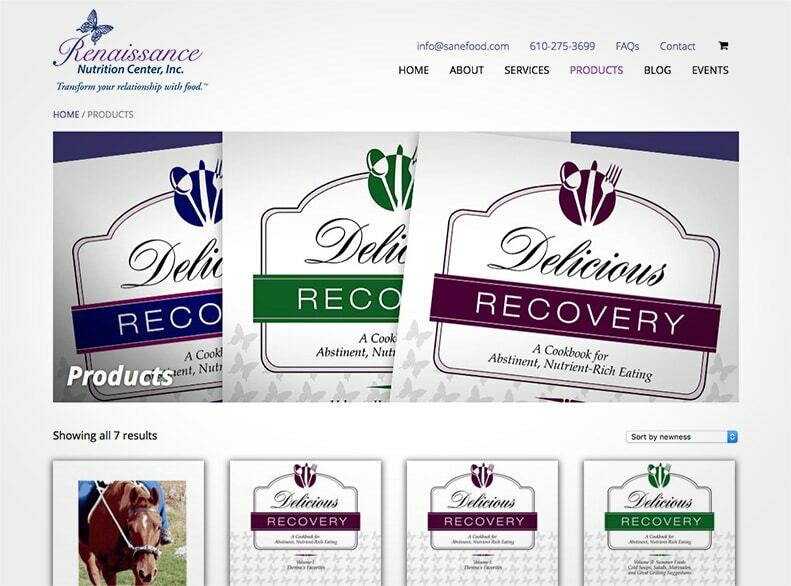 The website integrates WooCommerce functionality, so Renaissance Nutrition Center can sell publications and recommended products directly from the site. 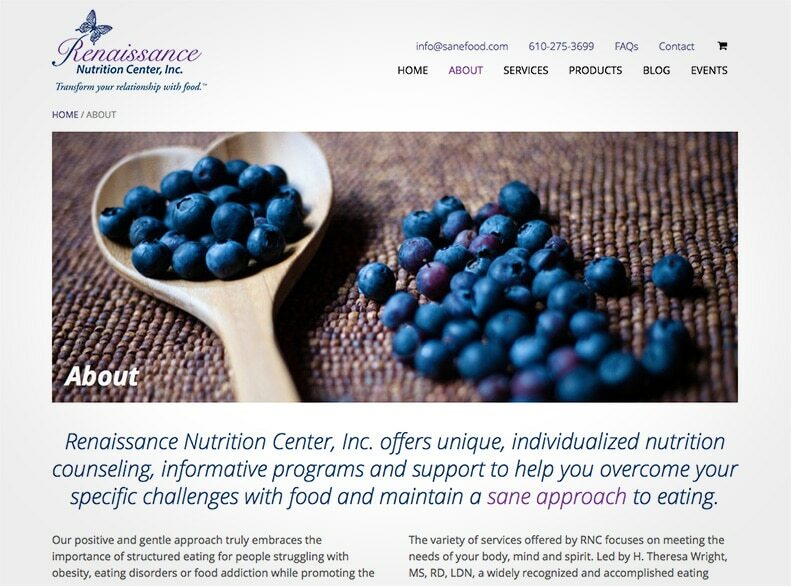 The redesigned SaneFood.com allows Theresa to share her work with a broader audience and build upon her professional platform as a nutritional expert.